The abundance of sights, sounds, tastes, people and experiences to discover in our area is undeniably overflowing. 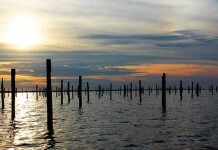 Thankfully, there are miles of entertainment gems to discover along the Gulf. Did you know the average American spends $50-$75 per person per day on vacation, just for food and drink? That can add up pretty fast. So, here are some insider itineraries designed to help you soak up all the highlights, while maximizing every minute and every dollar. 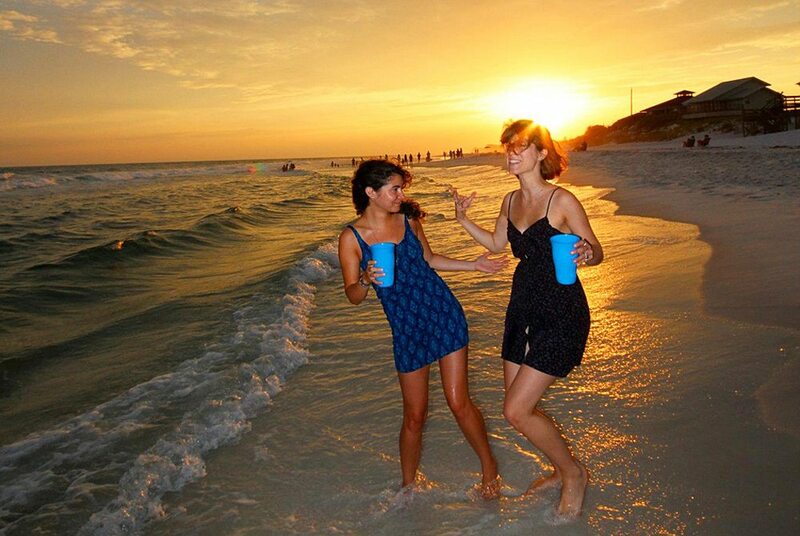 If you’re looking for affordable lodging, consider experiencing one of South Walton’s many wonderful camping options. 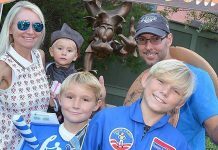 You can see the real Florida, reserving campsites for as little as $10 per night! We’ll start off with a Friday “check-in.” Grab lunch to-go at La Chalupita along Highway 98 in Santa Rosa Beach. Situated next to Haven House and inside a Mexican market, don’t discount this eatery – they serve up true, authentic Mexican fare. Get two al pastor tacos (the corn tortillas are worth the trek alone) for $5, a cold drink from the market (less than $2) and be on your way. Quick, affordable and delicious. You can have lunch for two for under $15. Take your tacos to Eden Gardens State Park, pay the $4 per vehicle fee, and then explore this gorgeous plantation and much-appreciated piece of culture off North County Road 395. You can picnic, or just stroll the impeccably landscaped historical grounds. Prepare yourself for lots of beautifully backdropped selfie opportunities and some tranquil downtime. Should you require an afternoon pick-me-up, head over to For The Health of It in Blue Mountain Beach. It’s an organic food and produce market where you can fuel-up with one of their fresh juices or smoothies for less than $10. From there, you won’t have to venture too far for an evening of entertainment at Gulf Place. It’s Friday night, so cruise through the Art Walk if you happen to be in town on the first Friday of the month, when participating local gallery displays stay open later. 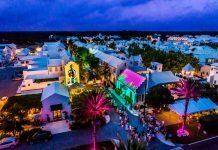 Indulge in a low-key evening of browsing, chatting up the local artists, and listening to live music through the Gulf breeze. 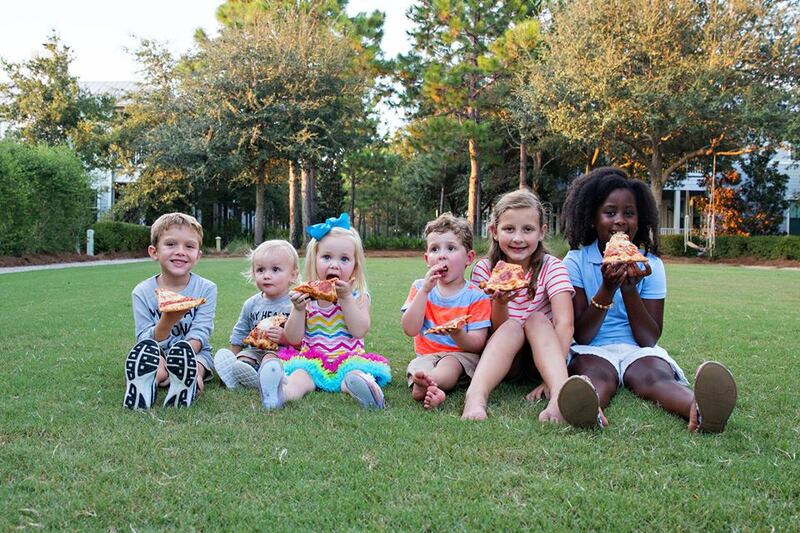 While you’re in the Gulf Place bubble, you can walk up to Pizza by the Sea, share a pizza for $14.99 or a low-carb Yum Bowl for $6.49. Of course, sunsets are a daily South Walton treasure and tradition, so get out to the beach access across from Gulf Place and soak in a fiery beauty. It’s worth it to make this a non-negotiable moment each night. Enjoy it, and get a good night’s rest. Best of all, it’s free. Saturday mornings at The Yoga Haus will only set you back $15 per guest. Meet the exquisite Marie Landwehr, a powerhouse wellness instructor with over 20 years experience. 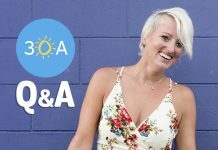 As a local, she says her favorite thing about living in the area is “connecting with the people, the locals and visitors, and building community.” Her passion is people, so take a pause in the morning and drop in for an hour-long session. All are always welcome, and you’ll start your day off feeling totally rejuvenated. Next, a farm-to-table breakfast picked up at the Seaside Farmer’s Market may be just what your body needs after a strength and stretch sweat session. The market – open from 8 a.m. until noon – provides live music as you peruse all the fruit and veggie goodies you’d expect … along with baked yums, too. Try a cinnamon roll, $4, or kouign amann (think a croissant muffin with a sugar glaze), $3.50, from Black Bear Bread Company and coffee, $2.50. You can easily keep coffee and breakfast under $20. Later in the afternoon, you can tour two of our local craft breweries, Grayton Beer Company and Idyll Hounds Brewery, and indulge in refreshment straight from the source. Cheer for your favourite team at the Hub’s Jumbtron game screening and relish $1 oysters while at it! 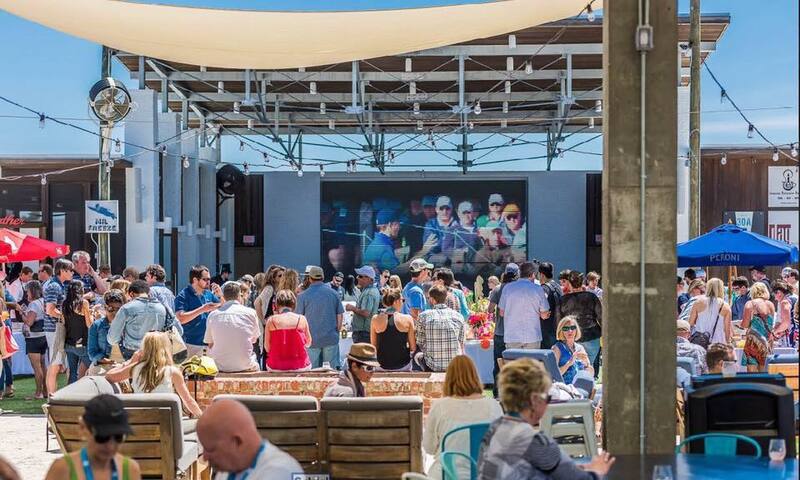 Another option to grab a beer, The Hub has a 25’ Jumbotron to watch both NCAA and NFL games all season long. Even better, from noon until 3 p.m., they serve $1 raw oysters and plenty of other game-day munchies, like pretzel bites and jalapeño poppers, $8.75 each. The game, a few brews and $1 oysters… does it get any better? If the beach and outdoor vibes are calling you on Saturday afternoon instead, locals seem to be in agreement that our state parks are the budget-friendly way to go. Grab a few more vittles at the market, take your camera, and soak in the coast’s natural beauty in all its glory. Deer Lake, Grayton Beach and TopSail parks trails can be enjoyed walking, biking or running. The park entrance fees are $5 or less. 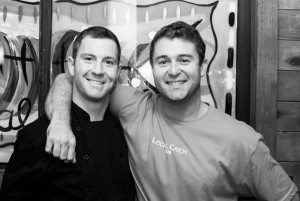 Adam Yellin and Jimmy Hasser opened Local Catch in 2010. The secret to budget dinners along Scenic Highway 30A is taking advantage of the many great happy hours. The ever-delicious Cafe Thirty-A in Seagrove is a refreshing option if you’ve spent all day outside. They offer a fantastic “buy one entree at regular price, get the second half off” deal from 5-6 p.m. If you’ve had your fill off oysters, the mouth-watering pork nachos, $13.99, at Local Catch are great for sharing. 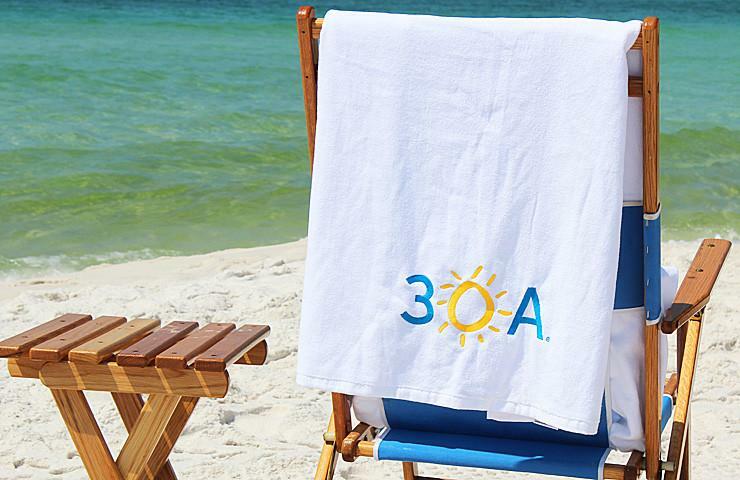 Grab a bottle of 30A’s refreshing 30A Rose’ and find yourself at the beach for another stellar sunset (if you’re in Seagrove near Cafe Thirty-A, try the Campbell Street access). 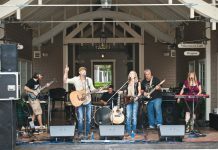 Or if you’re over near Local Catch, head east to Red Bar, the ever-popular hot spot nestled in Grayton Beach where you can grab an optional nightcap, chill-out and enjoy live music to round out the Saturday. If you missed the Seaside Farmer’s Market, there’s another chance on Sunday mornings in quaint Rosemary Beach. Buy your breakfast a la carte, or get a fresh pastry and coffee at Amavida Coffee in the square, and then head down toward the beach to The Pearl. Head up to the breezy rooftop, reminiscent of a European villa, and sit out in the open air patio as you take in views of the glistening Gulf and people-watch over the lawn. Bike rentals are popular around these parts and should you choose to go down that pedaled path, you’ll save on gas, plus if you pedal into any of the state parks, there’s no entry fee! 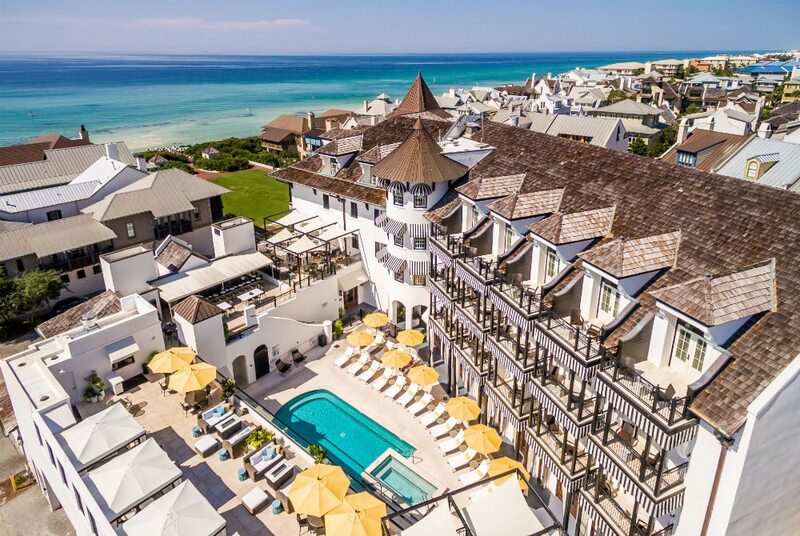 After you’ve hit The Pearl, ride your bikes from Rosemary Beach and travel west into Alys Beach. Scoot around that gorgeous developing community for a while, then head back east into Inlet Beach. Peddling not only passes the time, but it’s fantastic exercise and enables you to see both the natural and man-made beauty of South Walton as intended. 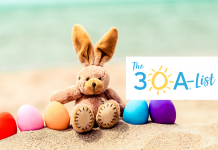 For lunch, there are several delicious options at 30Avenue, a fine dining and shopping community where Highway 98 and east Scenic Highway 30-A intersect. Amici 30A Italian Kitchen offers daily happy hour specials, like half-off their artisan pastas and pizzas, $8-$12, from 3-6 p.m. Shareable salads will be easy on the budget. Grab a few delectable dips and chips and drinks, take it out onto the beach or one of the lawns and enjoy a late afternoon lunch al fresco before wrapping up the weekend. 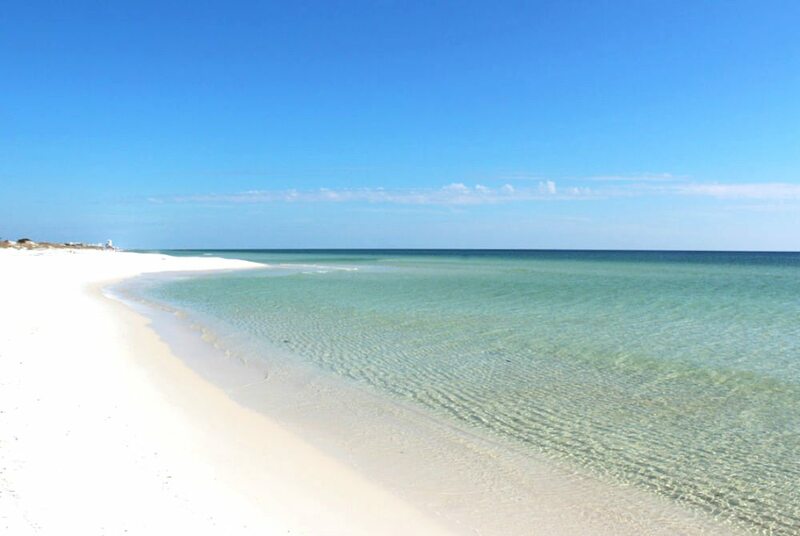 Whether you’re a transplant local, like myself, curious to switch things up and rediscover our piece of paradise, or an out-of-towner taking a few days to retreat here for a respite from your routine back home, there are plenty of budget-friendly treasures along our corridor of the Emerald Coast. Remember, no matter when you choose to visit South Walton, beach-bumming is always free, and the view is always fulfilling and spectacular. CAROLINE STEPHENSON is a local freelance writer.